Today we will pick up where we left off with how to make and analyze frequency tables and histograms. Objective: I can use measures of variability to describe a data set. Essential Question: How can the variability of data be described using a single number? Take notes on the examples. Today we will make and analyze frequency tables and histograms. Today we will go over how to make and interpret a box plot. Objective: I can make and analyze frequency tables and histograms. Essential Questions: How can a frequency table or histogram help your organize and analyze data? Today we will identify the mean, median, mode and range of different data sets. Place your completed Skittle Scavenger at seat #5. Objective: I can make and interpret box plots. Essential Question: Why is a box plot useful for representing certain types of data? Take notes on 8-3 examples in Pearson. **Quiz in Statistics (so far) on Thursday, April 18th. Today we will review past knowledge (and possibly new knowledge) on the 3M & R skills. Review how to find the median, mean, mode, and range. Finish finding the 3Ms & R for each round. Today we will kick start Topic 8 by recognizing statistical questions. Objective: I can identify the mean, median, mode, and range of a data set. Essential Question: How can you use a single measure to describe a data set? 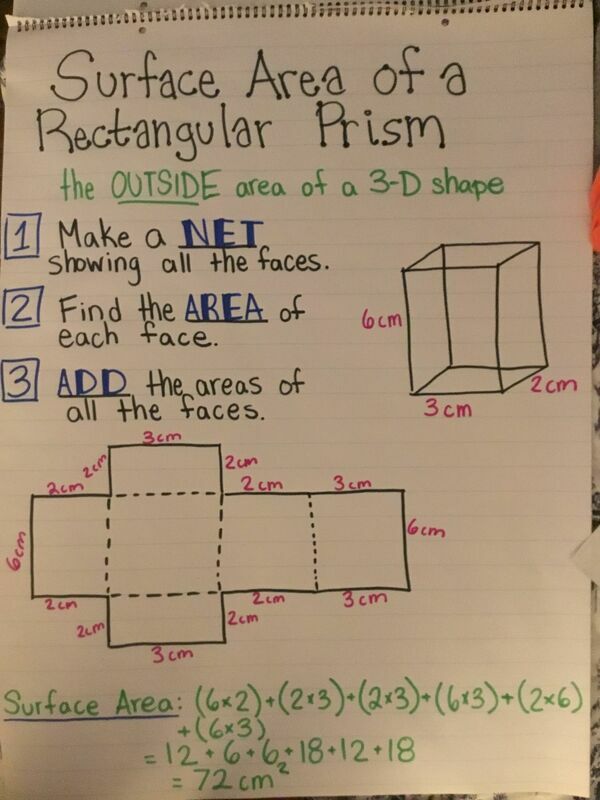 Today we will review how to find the surface area of shapes using their nets. To help save on paper, the task cards for today's review can be found in Google Classroom. If you sit in an even seat, complete even numbers. If you sit in an odd seat, complete odd numbers. Bonus points if you complete all task cards. Objective: I can identify and write statistical questions. Essential Question: How are statistical questions different from other questions? 30% of your FSA is about expressions and equations. To help prepare you, complete the assigned practice in Khan Academy by April 12th. If you complete 2 to 3 activities each day (not counting Saturday and Sunday), you will have finished all practice by April 12th. 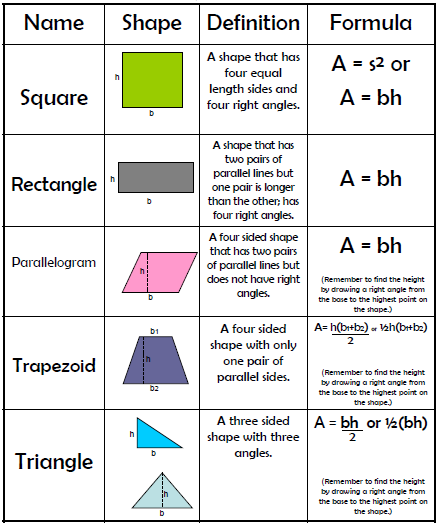 Today we will review how to find the area and volume of shapes. 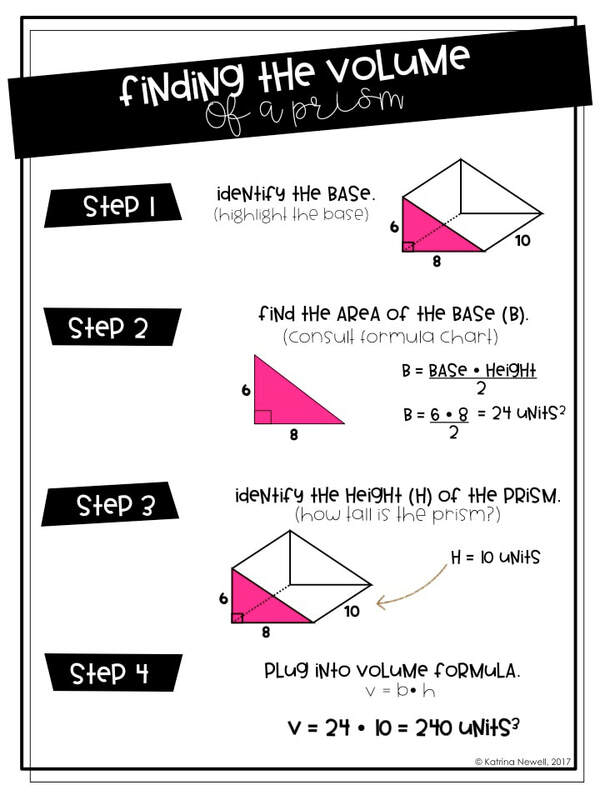 Today we will work on how to find the volume of prisms with fractional edges. 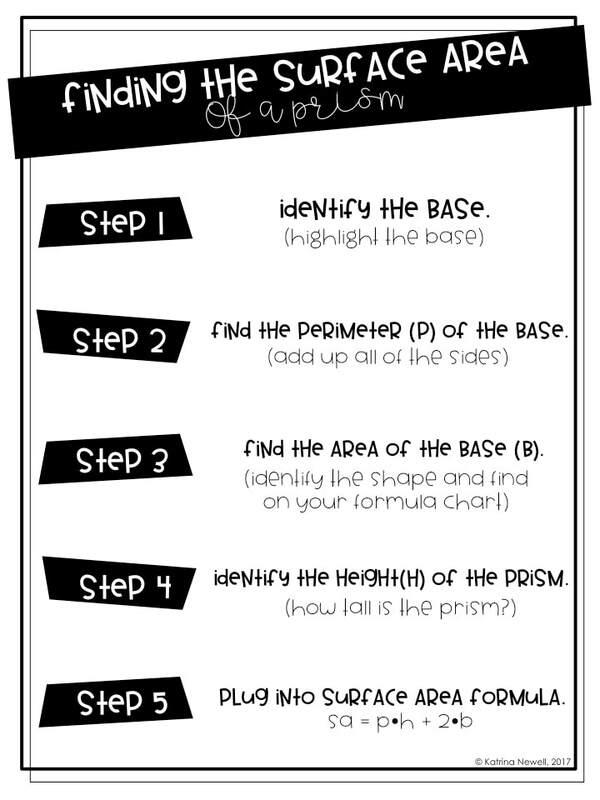 Today we will find the surface area of prisms and pyramids. 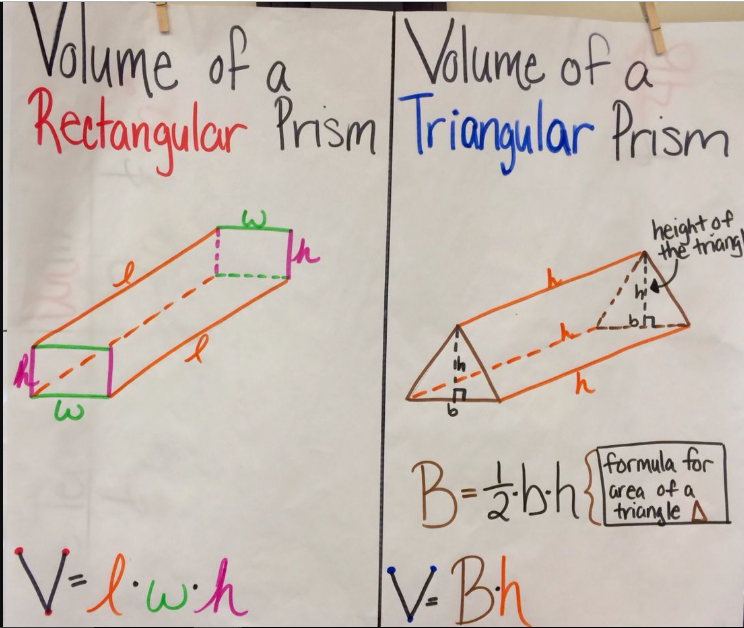 Objectives: I can find the volume of a rectangular prism with fractional edge lengths. 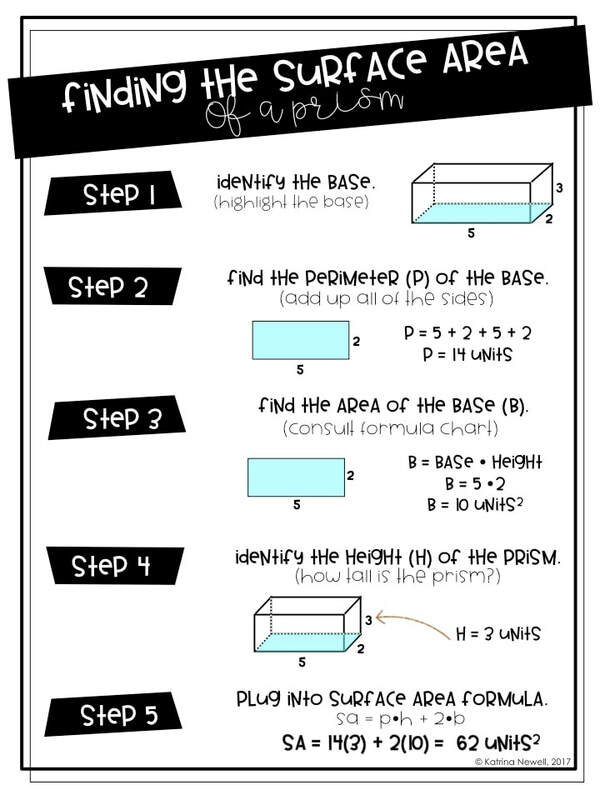 Essential question: How can you find the volume of a rectangular prism with a fractional edge length? Take notes on the examples in Pearson.